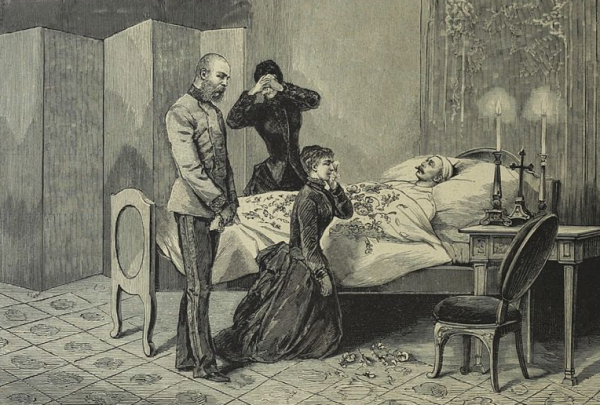 Where royal scandals and tragedies are concerned, few had more wide-ranging and long-lasting consequences than the Mayerling Incident. 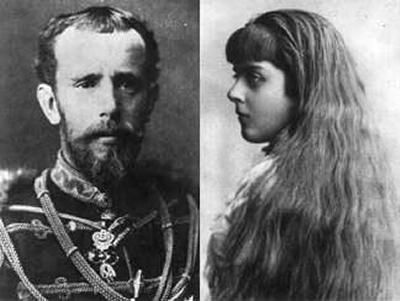 The deaths of Crown Prince Rudolf of Austria-Hungary and his young mistress, Mary Vetsera, are still fodder for debate and speculation more than a century later. 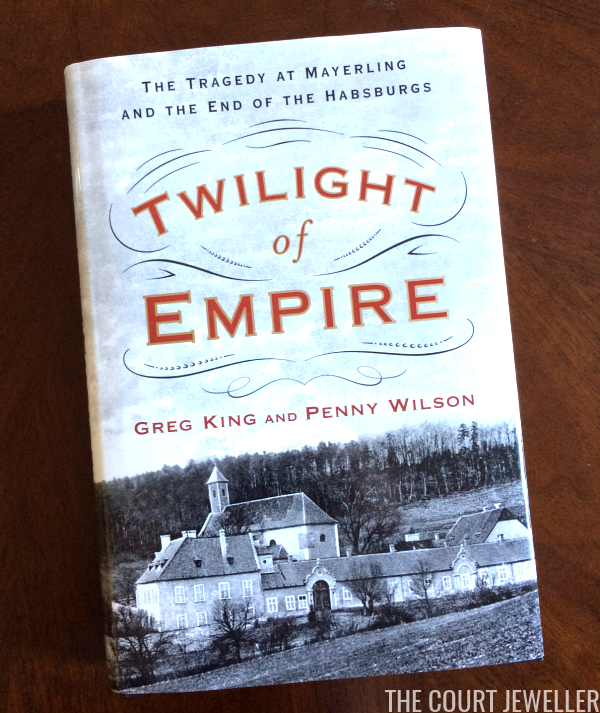 In their new book on the subject, Twilight of Empire: The Tragedy at Mayerling and the End of the Habsburgs, Greg King and Penny Wilson attempt to separate truth from fiction. I'll warn all of you right off the bat that the book is sometimes depressing and occasionally outright disturbing. But how couldn't it be, given the subject matter? King and Wilson offer us biographies of both Rudolf and Mary, tracing their lives and their families before the beginning of their affair, and demonstrating that the seeds of tragedy were sown, in some cases, quite early on. I knew a little about the tragedy before, but the book does a good job of placing the reader in imperial Vienna, with its web of interlinked families and its formal court etiquette. But it's the deaths of Rudolf and Mary, and the numerous theories about how they happened, that occupy the majority of the book's pages. 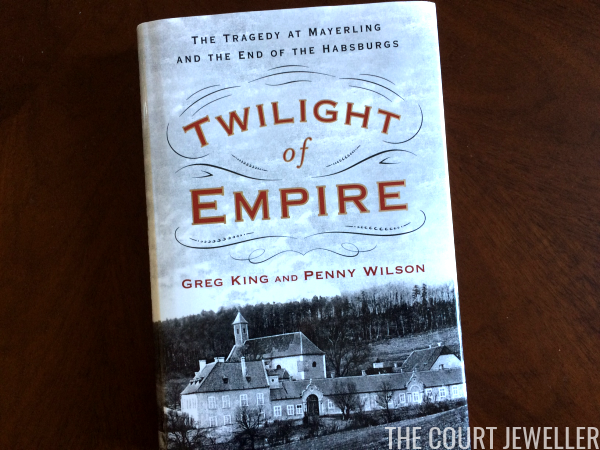 King and Wilson have clear opinions about what exactly happened at Mayerling, and they make a convincing argument for their version of events. The book does sometimes feel like it's meandering a bit as the authors cover the various conspiracy theories put forth by imperial family members and other writers, but that's really a byproduct of the material, not the fault of the author. Going through each theory requires rehashing of the night of the deaths, and that does feel a bit repetitive, but I think it's ultimately necessary. It took me a while to get through the book, because reading about the incident was simply a little difficult. Ultimately, though, the book was well done and quite readable. It may not be for everyone, but for those interested in nineteenth-century royal history, it's an excellent resource on a major historical event. If you'd like to support the blog and read more reviews here, the book is currently available at Amazon for around $19 (almost a third off the list price), and for $15 for Kindle!